BANJUL, Gambia — I stood with three friends on a beach littered with dead fish, cigarette butts, the leavings of lunch and empty soda cans. 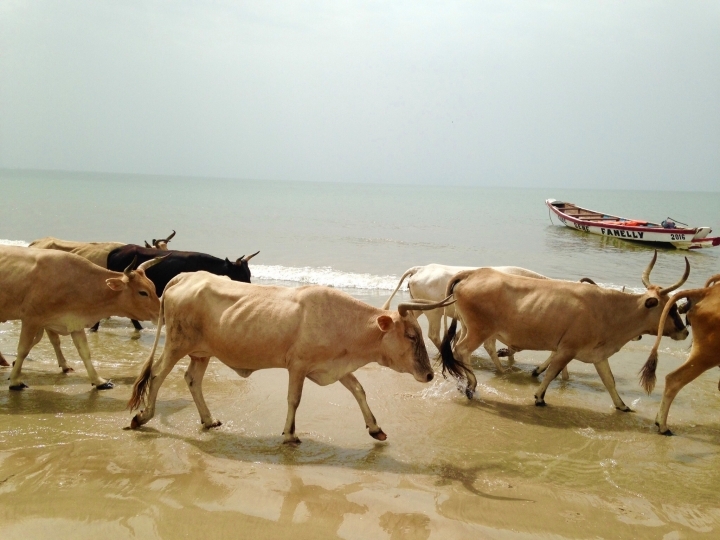 We were in Banjul, Gambia, and about to set off on an adventure to Jinack Island. 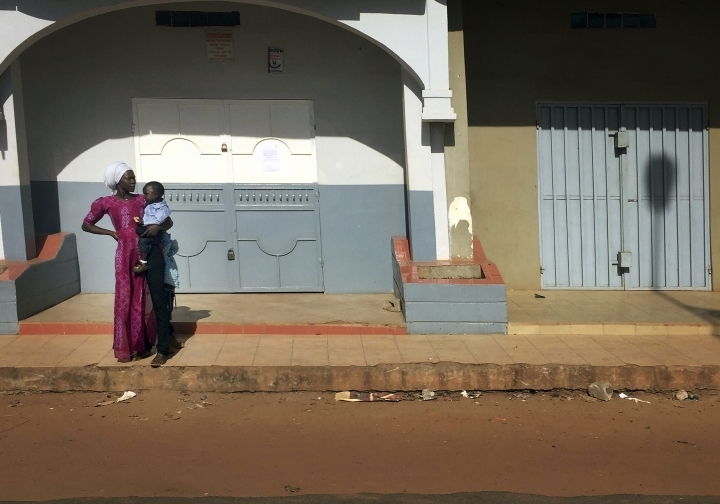 Our pirogue — a large dugout with a muscular motor — awaited us just offshore, bobbing in the Gambia River with a herd of other colorful boats filled with furniture, groceries and people. There was no way we would walk through the mucky beach and water to get to our ride. Clearly, our much-anticipated day excursion to an island paradise was ruined. Suddenly, I was airborne and moving through the water. I let out a gasp and realized I was on the shoulders of a 20-something, bare-chested man, who had, without a word, bent down and lifted me in one fluid move. He swished through the waist-deep river, my shoes never getting wet. As we neared the boat, the water rose to his chest and he gently placed me in the pirogue. I turned to see my friends, Shelley Clark and Barbara Ligeti, on the shoulders of two other men. Shelley's aunt, Alice Taylor, was cradled in the arms of another. Gambia is a nugget of land surrounded by Senegal on three sides and the Atlantic Ocean on the other. The Gambia River runs through it. Banjul, its capital and major port, was the sixth stop on our monthlong cruise of West Africa aboard The Marina, an Oceania ship, with around 900 other passengers. We booked early, in April for a Nov. 3-Dec. 3 vacation, and got a discount rate for verandah suites, which you need on a long voyage. Cost of cruise: around $10,000, including $400 for visas. I found a good business-class fare to our departure city of Lisbon and home from our last port, Cape Town. Oceania offered discounted airfares for coach. This December, Oceania offers a 30-day Africa voyage, Dubai to Cape Town with stops in Kenya, Mozambique and Tanzania, starting at $8,000. Cruise lines visiting Gambia in 2018 include Holland America, Silversea and Regent. Our rooms were beautifully appointed with amenities that included Bulgari bath and beauty products; two bottles of Champagne awaited us in the cabin. The ship had 2,000 artworks hand-picked by Oceania founder Frank Del Rio (an audio tour is available), nine restaurants featuring just about every cuisine, and various bars, boutiques, a casino, music areas, a theater. Oceania prides itself on fine dining and upscale menus. Jacques Pepin is the line's consultant and the food does not disappoint. The trip was amazing, informative, fun and adventurous. It was also deeply emotional at times as we viewed the devastation and horrors of the slave trade and European colonialism. The cruise traced the Portuguese exploration and enslavement of West Africa, with stops in countries colonized by other European powers. (Gambia was colonized by Great Britain.) The melodic Portuguese language is still spoken in certain regions and remnants of Portuguese culture are everywhere, including cuisine. From Lisbon, we went to Madeira, Portugal, the Canary Islands (La Palma and Tenerife), Cape Verde, Senegal, Gambia, Ivory Coast, Ghana, Togo, Sao Tome, Angola, Namibia and South Africa. We stayed in Cape Town a few days, rented a car and went on safari for a couple days along the Garden Route. 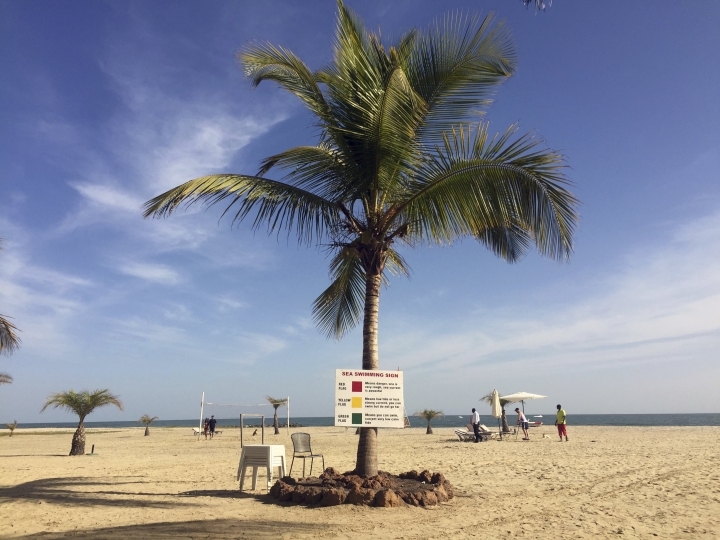 Although Europeans flock to Gambia's pretty beaches during winter's chill, few Americans give it much thought. It is one of Africa's poorest countries. Shore excursions booked through cruise lines can be pricey. On The Marina, tours ran over $300 apiece. We booked our tours online with local vendors; all cost well under $100. Not only did we get what amounted to private tours, but we got to do and see more than those on ship tours. We also had friends in some cities who gave us their cars and drivers for the day. The Gambia tour was around $40 and advertised a boat ride on the river, day at Kayira Beach Resort run by a British couple, Penny and Paul Westhead, a visit with school kids who would perform for us, a ride on a donkey cart, a beach barbecue and swimming. The Westheads greeted us with icy bottles of local beer. Nowhere in sight, though, was the resort we expected. Instead, a concrete main house and a couple huts used as guest quarters hunkered among the trees. The Westheads said they had suffered beach erosion and run out of funds to finish their hotel. The plucky pair pressed on and was preparing for a group of Dutch tourists at the Christmas holiday. We could have dissolved into a huge funk. Instead, we looked at one another and laughed. It was an adventure. Besides, the Westheads were a hoot and very entertaining. Clark and I swam in the clear, warm water, while Taylor sipped a beer from the shade of a tree. Ligeti set off through the bush to deliver school supplies we had brought with us from New York. The Westheads' chef, a talented young woman who had changed into her fanciest dress for the occasion, made a spicy beef and vegetable stew, and perfectly cooked jasmine rice. Jinack Island was not what we expected but it was a fun day. We learned about a country we did not know. We swam in the Gambia River, made some school kids happy and rode on the shoulders of robust young men.